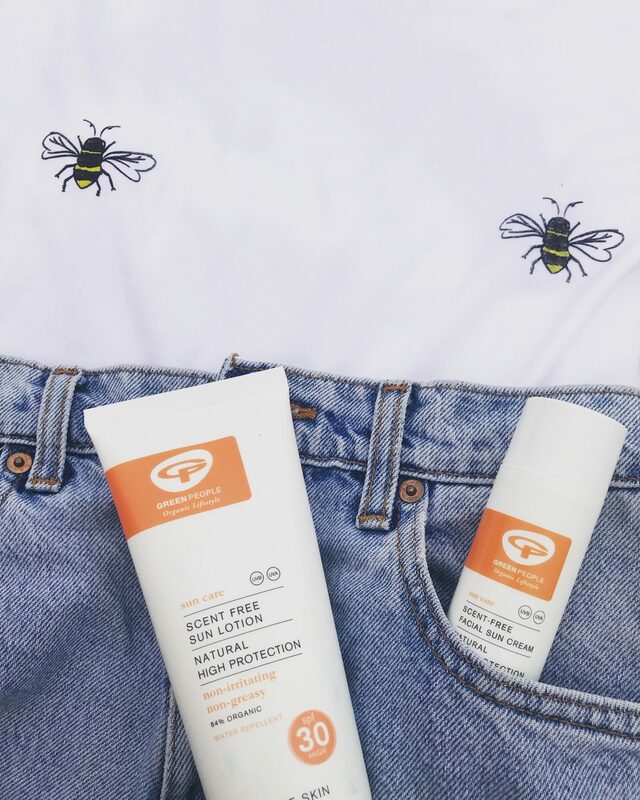 We all know it’s important to stay protected from the sun and that we should wear SPF but how many of us actually do it when we aren’t on holiday? I can honestly hold my hand up and say I’ve never been one to apply an SPF as part of the skin care routine whilst in the UK, unless it’s already incorporated into my moisturiser. My other struggle is that I have found it difficult in the past, to find a cruelty-free sun care range which works for my skin. Enter Green People. When Green People got in touch I was super keen to work with them to help promote a cruelty-free way to stay safe in the sun. So over my last couple of trips to Rome and Ibiza I have been testing out some of their products to share my thoughts with you guys. So lets start off with saying that Green People do plenty of products beside sun care, all of which are cruelty free. The sun care range is fairly traded, organic and suitable for sensitive skin. 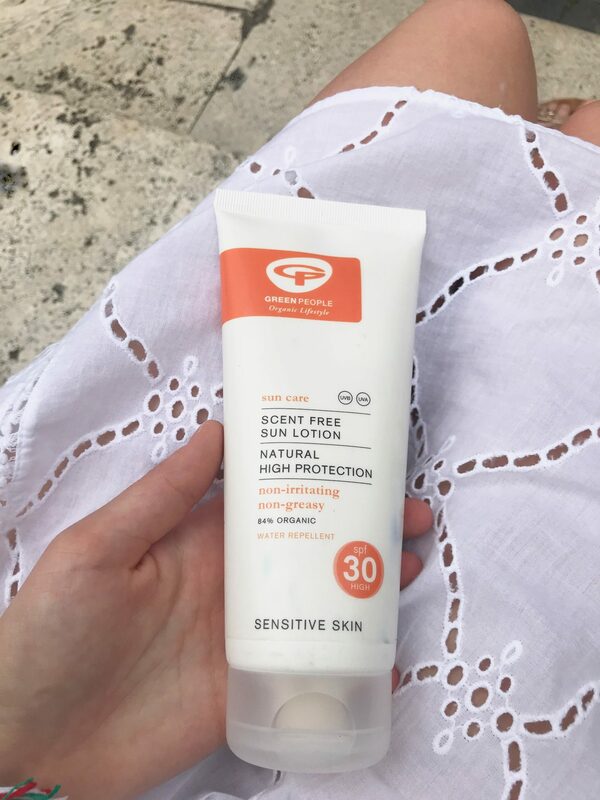 I tested out the Sun Lotion SPF30 Scent Free 200ml*, which is non-greasy and water repellant. I think this would be perfect for people with sensitive skin or perhaps even those who suffer with prickly heat as, like it says on the bottle, there is no scent. It is definitely thicker than some other suncreams I have used in the past but I didn’t burn whilst wearing this and it’s apparently great for those suffering with eczema. What I also really like about this cream is that it is reef safe, so it isn’t harmful to our oceans and there is a donation from each bottle purchased towards the Marine Conservation Society. Also you’re after a Vegan sun cream then check out their SPF 15 formula! This next product is potentially my favourite out of the 3 that I tried, and that is the Facial Sun Cream SPF30 50ml *. Again the product is scent free, but here is where the non-greasy element really impressed me. I wore this every day in Ibiza and I didn’t burn my face and I even developed a nice little tan. What’s more is that I wore it to a beach party and applied a full face of makeup on top of it- which did not budge! So I’ve decided that from now on I’ll be using this every day underneath my makeup to protect me from sun damage here in the UK. It’s a moisturising formula, which somehow seems to set in a matte way, so as to not alter the application of makeup. Also a little goes a long way, so I have a feeling this little bottle will last me quite a while! Finally, I tried out the Hydrating After Sun 100ml*. This stuff smells incredible, it contains aloe vera as the other products do, but this after sun is also laced with mint, which means it leaves you smelling divine. This is the only after sun I have ever used which hasn’t left me feeling like a greasy slippery mess after application. It sunk into my skin instantly and it left me feeling refreshed and cooled because of the mint. Obviously do be wary of this mint smell if you can’t use fragrance, however it is 94% organic with no nasties in it so it should be suitable for most skin types. I enjoyed using this product as part of a routine, as I feel it’s just as important to look after your skin in the evening as it is during the day. 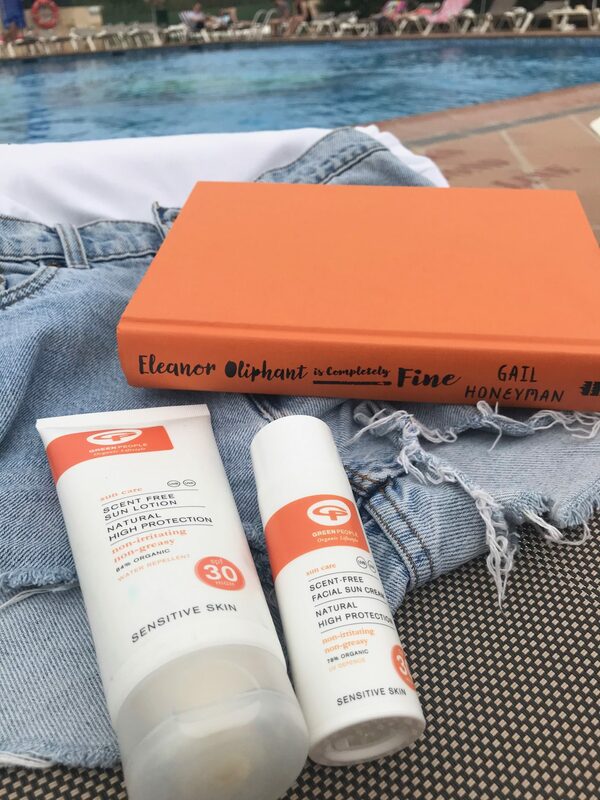 This lotion allowed my skin to remain hydrated and prevented any flaking or drying out of my skin where it had been in the sun and the swimming pool all day. Since coming home, I’ve been complemented on my tan so I can definitely say that these products have helped my pale self get some colour in a safe way and I still have loads of product left to last me on other trips! Despite being sent these products for review I would not hesitate to purchase them myself, especially the facial sun cream and the after sun! Let me know in the comments below if you have tried any of Green People’s products before, I’d love to hear any other recommendations!